novembers doom | MSRcast and Metal Geeks Unite! Join Cary the Metal Geek and Sean the Metal Pigeon with special guest Brutal Dave from Metal Geeks Podcast, as they pontificate and discuss all their favorite albums from 2017! The official MSRcast website is live! Visit us at msrcast.com, or metalgeeks.net, for all of your MSRcast needs, including archives of podcasts, interviews, reviews, and lots more. 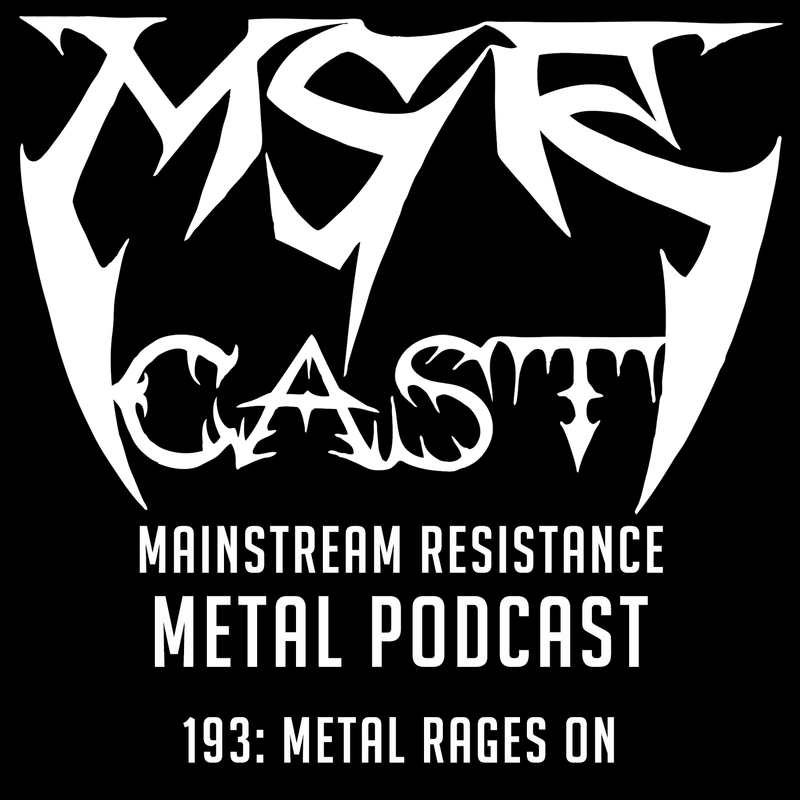 Remember to contact us at msrcast@gmail.com, and follow us over on twitter, @msrcast and @themetalpigeon. Come and join Cary and Sean over on Facebook, and while you are there, like our facebook fan page to keep up at http://www.facebook.com/msrcastofficial. Come find is over on Instagram @msrcast. If you like the show, let others know about it by tweeting about it, talking about it, and subscribing in itunes and leaving a review and comment. Enjoy, and Keep It Metal! 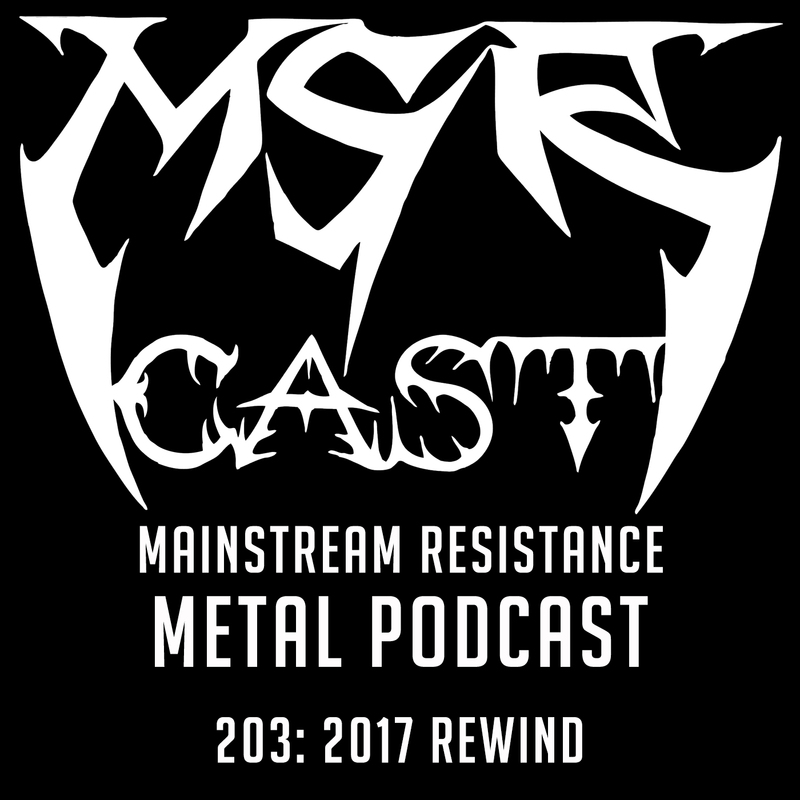 Join your hosts for part 2 of the 2016 Rewind as they dive into the rest of the bands on their list, and discuss the future of metal for 2017! Join your hosts Cary the Metal Geek and George on a very special episode as we dive into the world of the 60’s group the Monkees! 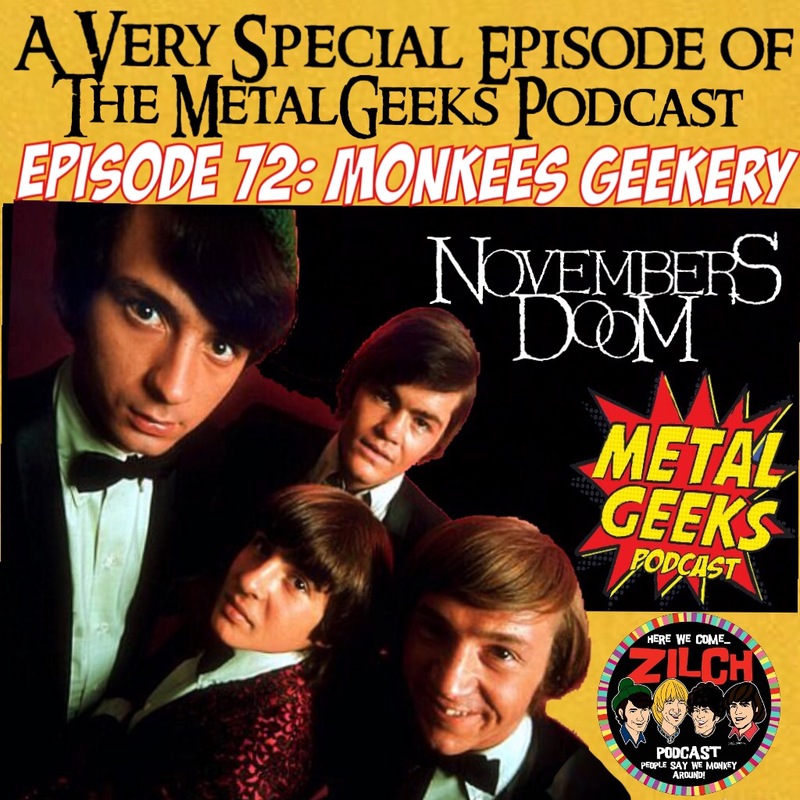 Cary just happens to be a huge Monkees geek, and to join him in his geekery is Ken Mills, host of Zilch: A Monkees podcast, as well as previous guest and huge Monkees geek, Larry Roberts from Chicago Doom Metal band, Novembers Doom! Join our discussion as we discuss our love of the band, and play some tunes by the Monkees as well as some killer Metal cover versions! On this episode of the Metal Geeks podcast, it is time to definitely Rock Out With Your Geek Out! Pay a visit to our other guest host for this episode, Larry Roberts and the Doom Metal band Novembers Doom over at www.novembersdoom.com/ amnd follow Larry on Twitter @NvmbrsDoom5 and Novembers Doom @NovembersDoom! Are you planning to visit Comicpalooza in Houston Memorial Day weekend? If you want to save some money off your tickets, visit www.comicpalooza.com/register and put in the discount code “metal2015” to save! That simple! Don’t forget to check out our sponsor over at thevinyldead.com for all of your vinyl toy needs! They are having a huge sale right now. You can save yourself 10 percent by using the discount code, metalgeeks10. Get your loved one, or yourself a little something! You can get us something as well. We wouldn’t mind! Join us on our website at http://www.metalgeeks.net to keep up with all the geekery. Follow us on twitter, @metalgeeks, and @msrcast. You can now find us on Instagram, @metalgeeks. Find us on Facebook/MetalGeeks. Subscribe to Metal Geeks Podcast on iTunes, and leave a review and a like us whilst you are there. You can also find us on Stitcher! Don’t forget to pay a visit to all of our affiliates including Ultness.com, URCityradio.com, Nerdbong.com and Earth Station One.com, your home for all of our Metal Geeks Shenanigans! Catch you on the next episode, and Keep It Geeky! 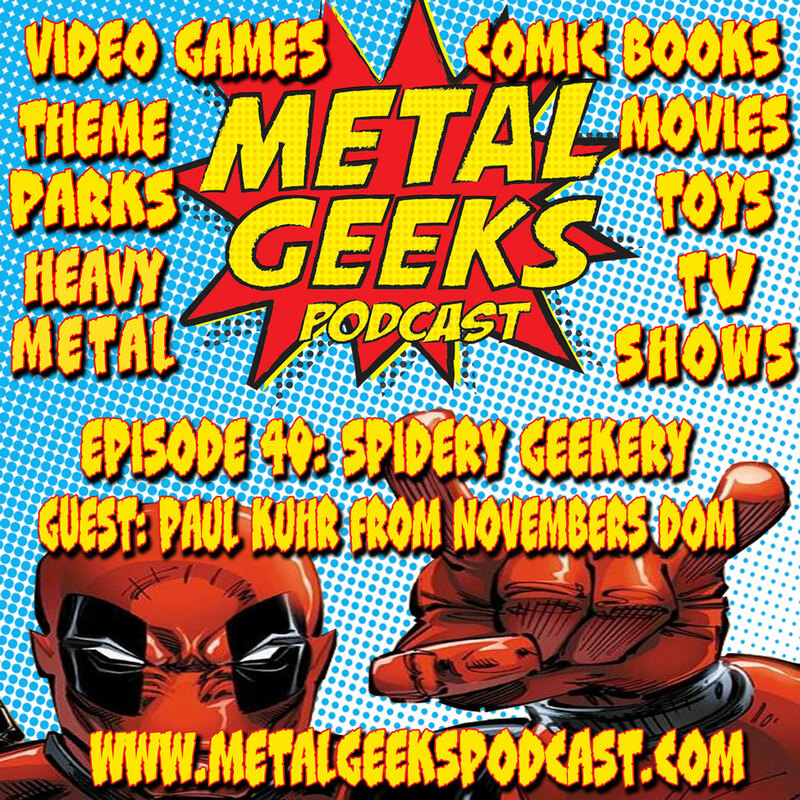 Metal Geeks 40: Spidery Geekery with Paul Kuhr of Novembers Doom! *Thwip Thwip* Geekazoids. 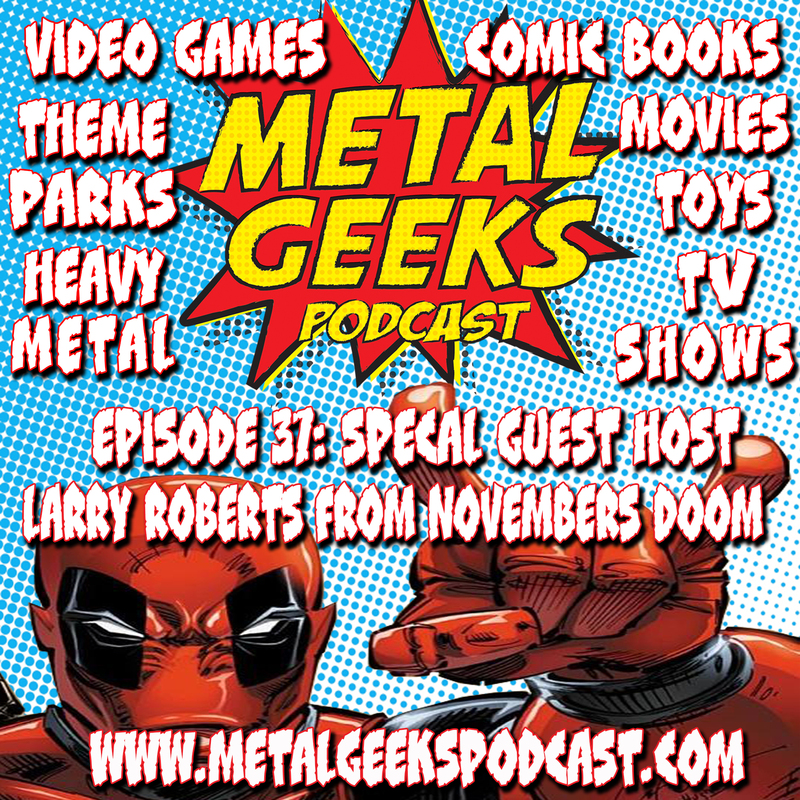 This episode Metal Geeks Cary G and JM are joined by the biggest Spider-Man geek of them all, vocalist of Novembers Doom; Paul Kuhr. That’s right, ANOTHER metal band member who geeks out about Comics. So much so, he even totes the “Clone Saga” one of his favorite Web-Head story arcs. Join us as we discuss the Superior Spider-Man series finale, The Amazing Spider-Man relaunch, and the box office hit; The Amazing Spider-Man 2! Oh btw, if you are a Novembers Doom fan; you MUST listen to this show. Check out more information on our special guest, Paul Kuhr, vocalist from Novembers Doom at these following locations. Check out the website at www.novembersdoom.com, twitter @PaulKuhr, and Facebook at /www.facebook.com/NovembersDoom1989. We are proud to sponsor one of the largest Comic Book Conventions in the Houston area, Comicpalooza, coming up on May 23 – 26 at the George R. Brown Convention center. Point your browsers to www.comicpalooza.com/register and use the code “metalgeek” to save money on your passes! Come geek out with us! Join us on our website at www.metalgeekspodcast.com to keep up with all the geekiness. Follow us on twitter, @metalgeeks, @JMmetalgeek and @msrcast. You can now find us on Instagram, @metalgeekspodcast. Find us on Facebook/MetalGeeks. Subscribe to Metal Geeks Podcast on iTunes, and leave a review and a like us whilst you are there. Don’t forget to pay a visit to Ultness.com, our new home for all of our Metal Geeks Shenanigans! We are also now proud members of the Rhymes With Geek comic podcast network. Check them out at http://rhymeswithgeek.com. Catch you on the next episode, and Keep It Geeky! Welcome to another geek filled episode of Metal Geeks podcast, but this time just a bit different. Our illustrious co-host, JM Metal Geek, was unable to attend this episode, as he is off getting married to the love of his life. We wish him all the best, and look forward to his return. In his place, we got one of our favorite guests to come back on as an official guest host. Welcome back to the fold, Mr. Larry Roberts of metal stalwarts, Novembers Doom. We discuss all kinds of topics including their new album, the 70000 tons of metal cruise, Marvel and Netflix, Star Wars Clone Wars, Marvel’s Agents Of Shield, owning a comic book store, and lots of Doctor Who geekery. 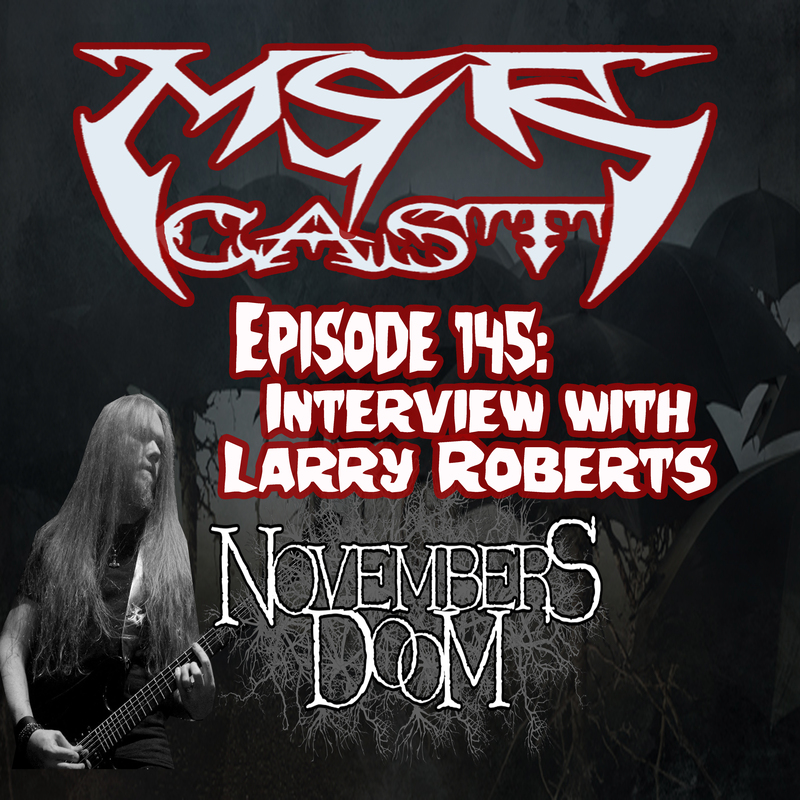 Welcome to episode 145 of MSRcast as we dive further into the mind of Larry Roberts, guitarist for Novembers Doom. This is the second part of our lengthy and in depth interview that started with Metal Geeks podcast episode 24 where we did talk about the band, but also geeked out on comic books, movies, and lots of geeky topics. This episode has hand picked music from Larry himself, some of his favorite songs of all time, and some new stuff as well. This is one of the most honest and most interesting interviews we have done on MSRcast, and one that will be remembered for the ages. The official MSRcast website is live! Visit us at msrcast.com for all of your MSRcast needs, including archives of podcasts, interviews, reviews, and lots more. Remember to contact us at msrcast@gmail.com, and follow us over on twitter, @msrcast and @jmmetalgeek. Come and join Cary G. and Bolthorn (JM MetalGeek) over on Facebook, and while you are there, like our facebook fan page to keep up! Come find us over on Instagram, @msrcast. If you like the show, let others know about it by tweeting about it, talking about it, and subscribing in itunes and leaving a comment! Enjoy, and keep it metal!